Give the gift of smoothed and rejuvenated hands! Created to deliver an extra dose of indulgence, the limited-edition† Blissful Pomegranate Satin Hands® Pampering Set transports you to a soothing retreat in three easy steps. Bring delight to everyone on your list this holiday season with this festive set. Escape to a moisturizing oasis where hands instantly feel moisturized, soft and smooth. This spa-like treatment revitalizes and rejuvenates the look of hands, so they feel renewed and instantly look healthier. Hands are left feeling satiny-smooth and supple as rough, dry areas are smoothed away, and skin feels soothed. Get carried away to a place of pure bliss as you pamper your hands and delight your senses. This lush scent features juicy pomegranate -- a globally loved fruit with gem-like seeds cultivated since ancient times -- blended with a fruity medley of wild berries, apples, pears and passion fruit. Your carefree getaway is waiting. Find your bliss today. 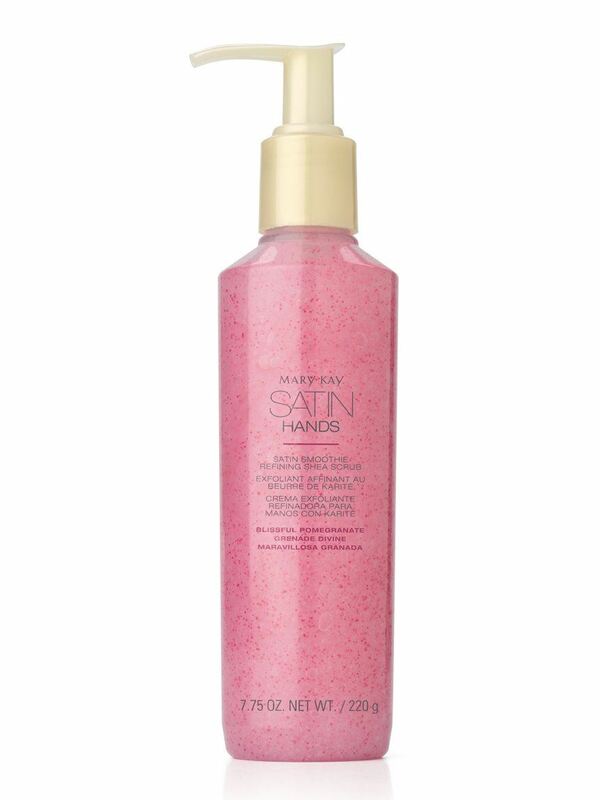 Fragrance-Free Satin Hands® Protecting Softener: Massage into hands prior to using Satin Smoothie® Refining Shea Scrub. Satin Smoothie® Refining Shea Scrub: Massage into hands before rinsing away. 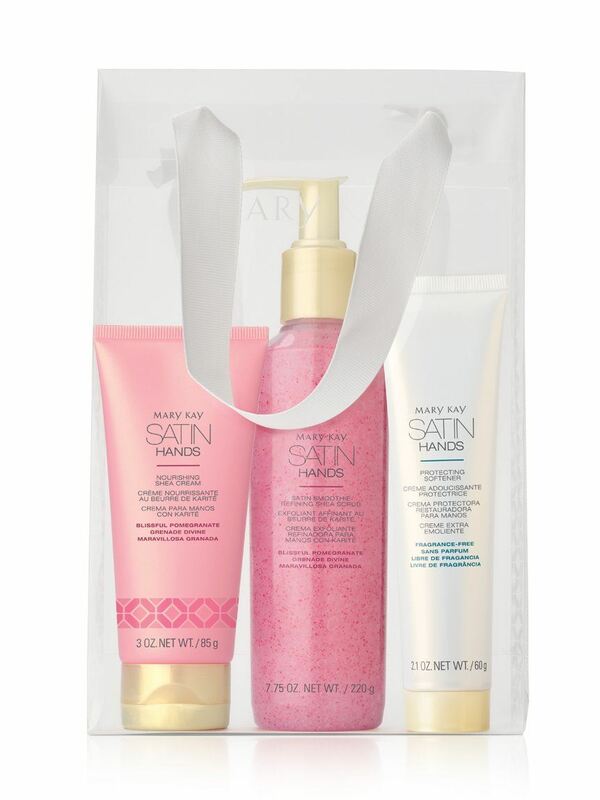 Satin Hands® Nourishing Shea Cream: Apply to hands after using Satin Smoothie® Refining Shea Scrub. Used for centuries to protect, enrich and soften skin, shea butter is known to contain omega-3s. Omega-3s are known to help maintain skin's natural moisture barrier, and when skin's barrier is protected, precious moisture is less likely to escape. A perfect ingredient for your everyday spa experience, shea butter wraps skin in creamy hydration bliss. In addition to shea butter, which is known to help soothe dry, chapped skin, Satin Hands® Nourishing Shea Cream also includes apricot, safflower and sunflower oils known to be rich in vitamins A and E and omega-3s.